Ernest Hemingway was born in Chicago in 1899 but spent much of his life travelling the world, including Cuba where he lived on-and-off from 1939 to 1960. It was in Cuba – and specifically about the seas off Havana – that he wrote perhaps his most iconic book, The Old Man & The Sea, for which he won the Nobel Prize for literature in 1954. Today, some 55 years after his suicide, Ernest Hemingway remains a strong draw for visitors to Cuba, some drawn by his writing, others by his infamous lifestyle. So where to start? 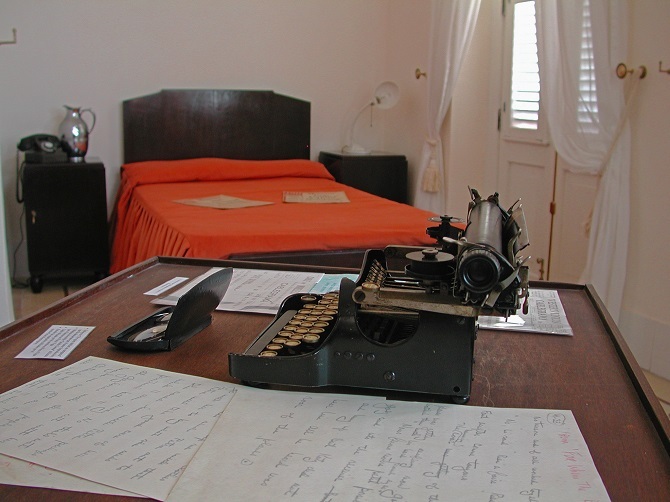 Well, when Hemingway first arrived in Havana he made the Hotel Ambos Mundos his first home. 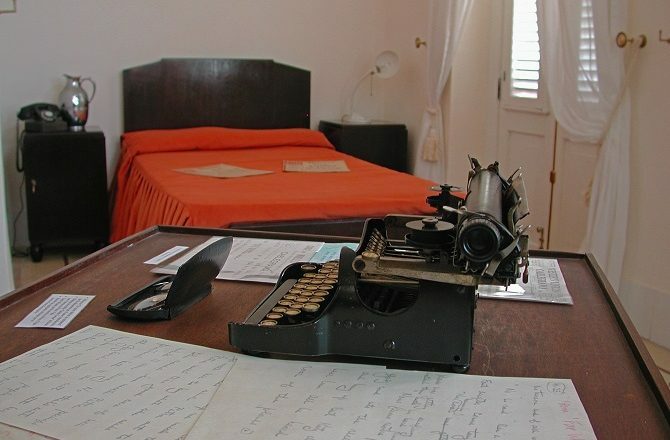 Located just off Calle Obispo in the very heart of Old Havana, the room (511) that Hemingway occupied at the Ambos Mundos is now preserved as a shrine to the man and can easily be visited by guests and non-guests. Having decided that Havana was very much to his liking, Hemingway soon moved out of the Ambos Mundos, first renting and then buying Finca Vigia, a pleasant house located some 15 miles east of Havana. Throughout his travels and travails, Hemingway always returned to Finca Vigia, only very reluctantly (following threats from the US government) leaving for good in 1960 after the Cuban Revolution. Despite the animosity that existed between the new Cuban government and the authorities in the US, Hemingway remained on good terms with Fidel Castro so, when he did finally leave Cuba, Finca Vigia was seized by the government and turned into a museum. Although it can easily be visited from Havana, due to the size of the house and the number of visitors, you can only walk around the building and peer in from the outside. 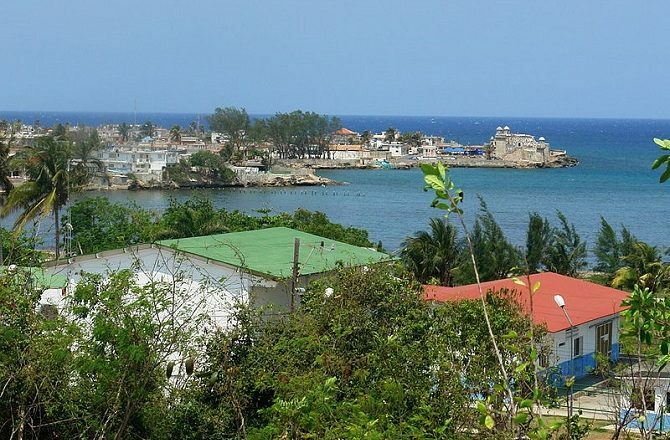 For fans of The Old Man & The Sea, the fishing village of Cojimar is also within easy reach of both Havana and Finca Vigia although there really isn’t an awful lot to see and do so, like many a pilgrimage site, you really need to use your imagination. Of course, Hemingway was more than just a literary great, he was also a serial womaniser and a drinker of epic proportions. While in Havana he coined the now famous phrase: “My mojito in la Bodeguita my daiquiri in El Floridita”. Both La Bodeguita del Medio and El Floridita are located in Old Havana and, as you can probably guess, are awash with tourists and selfie sticks. Of the two, I would always recommend La Bodeguita as being the better fun but don’t, whatever you do, have a meal at either. ← Previous Post: Windowless Rooms – A Very Cuban Problem?